I had more than four decade’s association with the sightless – visually impaired persons at the Home for the Blinds. Since the sightless persons are not less than the normal persons now with so advanced technology of Braille language – a six raised dots on the plain hard paper and availability of ‘Talking Computers’ to put their hands even in darkness on any subject. 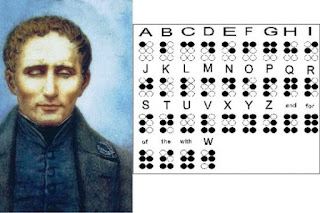 Louis Braille - (Jan 4, 1809 – Jan. 6, 1852) - was a French educator and inventor of a system of reading and writing for use by the blind or visually impaired. His system remains virtually unchanged to this day, and is known worldwide simply as braille. The Braille language brought a revolution in the lives of visually impaired person and they started competing in every field. The sightless people having an extra sense of feeling developed in them that they recognize you from your voice, your touching style and another coughing sound language. My association with this class had a different story of an attack on them while they were protesting for their rights in reservation for government posts which motivated to extend a helping hand to them. My book titled – Akhon Prokhen – is the only book in the Punjabi language dedicated to blinds community which fetches a donation of Rs.One lac and the Home for the Blinds are enjoying the interest since the 90s. Had anyone observed the same power of grasping and retaining any scrap of knowledge passed on among more fortunate human beings, he would have done amazing things in his life. 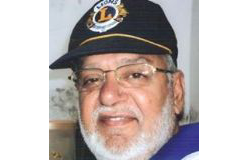 My association with Kashmiri Lal, an old timer sightless is more updated with the happenings around the world than me or anyone else. He has a hold over with the latest information whenever any latest or controversial issue, maybe politics, social, education or any other issue, he always had strong, individualistic views on all matters of consequence with the optimistic approach towards life and living despite being sightless. Visually impaired persons with their internal will are living the normal life with feeling, touching and memory therapy with only exception that they cannot be having a feeling of colours. Frankly speaking, the other day, I received a call from him after a long time inviting me to come to their place to celebrate the 45th Marriage Anniversary. But I was little confused as to which gift I should present to him. I decided to present him a beautiful ‘keyring’ especially purchased by me during the visit to the US from the Blind Home with the inscription in Braille language, made of yellow metal. The moment I presented him, he read out from the Braille dots written – Braille Opens Doors and said, Dear, Except, the feeling of colours. I told him that you know better, the colour vision is the ability of an organism or machine to distinguish objects based on the wavelengths of the light they reflect or transmit. Colours can be measured an quantified in various ways; indeed a person’s inception of colours is a subjective process whereby the brain responds to the stimuli that are produced when incoming light reacts with the several types of cone cells in the eye. I further apprised him, Issac Newton discovered that white light after being split into its component colours when passed through a dispersive prism. Since retina that recognizes the seven colours like the white light passed through the prism – VIBGYOR – Violet, Indigo, Blue, Green, Yellow, Orange and Red – is damaged among the visually impaired persons, they cannot have the feeling to differentiate the colours in their life. Finally he said with your detailed explanation, I don’t think the scientists could invent it. I could only put this task over to Scientists if they could discover a new technology to help the sightless to have this feeling too.